Thanksgiving morning...Yes, the holiday has arrived. You want it to be special, but hey, there's a lot of cooking to be done. No one wants to start with a complicated breakfast! 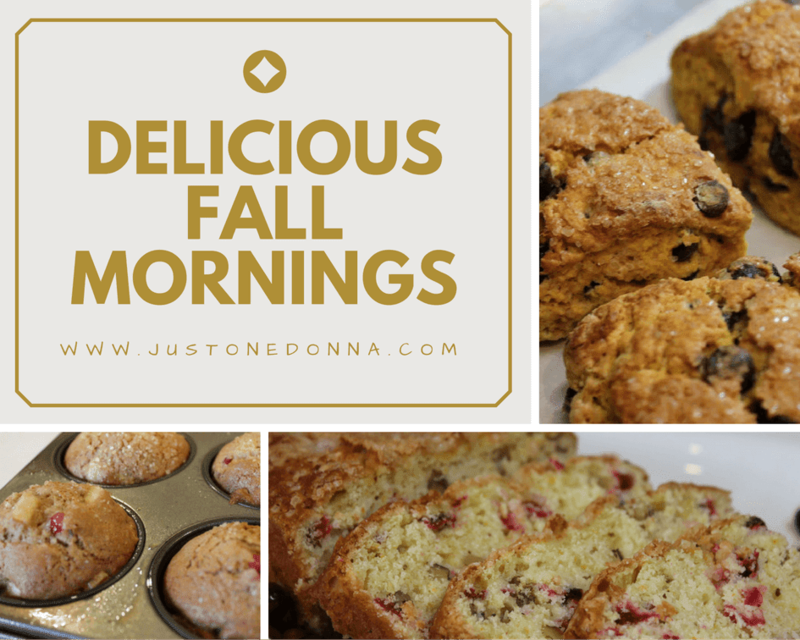 Here are three suggestions for some special breakfast items that you can make ahead. That way you can relax a little and have a special Thanksgiving breakfast without throwing off your dinner schedule. Preheat oven to 350 degrees F. Lightly grease a standard loaf pan. In a medium bowl mix the flour, sugar, baking powder, baking soda and salt. Stir with a whisk to combine well. Cut in the shortening until the mixture resembles cornmeal. Zest the orange and squeeze the juice. Don't you love the scent of that orange zest? Just think how yummy it will make this bread. Measure the juice in a measuring cup. Add the zest and the egg to the juice and mix to combine. Add the juice mixture to the dry mixture all at once and stir just to combine. Add the cranberries and nuts to the mixture all at once. Using a spatula, fold in the nuts and cranberries to distribute. Pour the batter into the greased loaf pan. Sprinkle with raw sugar, if you desire. Bake for 50-60 minutes, or until a toothpick inserted in the center comes out clean. Cool completely before serving. 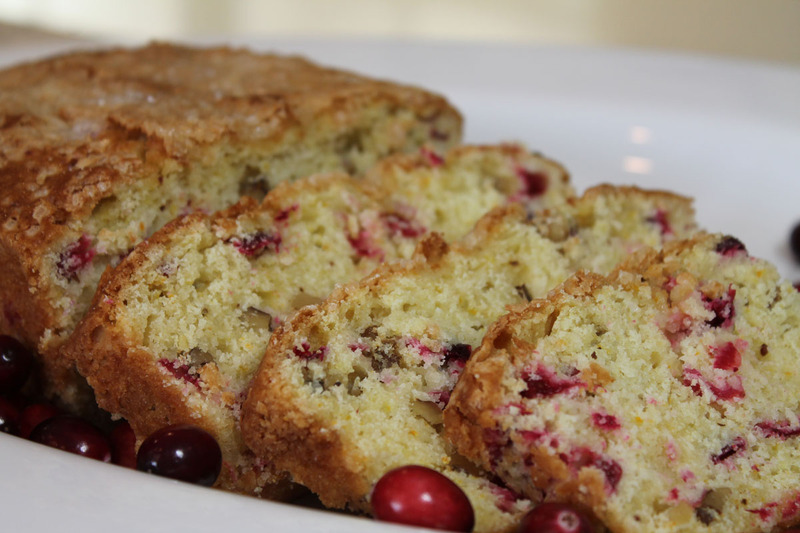 Get the printable Cranberry Bread recipe. Preheat the oven to 350 degrees F. Grease your muffin pan. Whisk the flour, baking soda, cinnamon and salt together in a medium bowl. In a separate bowl mix together the eggs, brown sugar, oil, sour cream and vanilla until combined. Add the wet ingredients to the dry and mix until just combined. Fold in the apples, cranberries and walnuts all at once. Don't over mix. Scoop the batter evenly into the muffin tins. Sprinkle sugar on the top of each muffin for a little extra crunch. I use turbinado sugar. Bake for 20 minutes. Cool for 10 minutes in the pan and then remove to a wire rack to cool completely. Get the printer friendly Cran-Apple Muffin recipe. Preheat the oven to 425 degrees F. In a large mixing bowl, whisk together the flour, sugar, baking powder, salt, and spices. I use my electric stand mixer to mix these scones. Cut the butter into small chunks and add to the flour mixture. Mix with the paddle attachment to incorporate the butter into the flour mixture. Don't worry about getting all the chunks the same size. Add the chocolate chips if you are using them. They will add an additional 93 calories per scone. In a separate bowl, whisk together the pumpkin and eggs until smooth. Add this mixture to the dry mixture. Stir until the batter holds together. Divide the dough in half. On a lightly floured surface, roll into two 6 inch rounds. (5-inch rounds without the add ins.) Line a baking sheet with parchment paper. Cut each round into six wedges. Place on the baking sheet. Brush the tops with milk or cream and sprinkle with sugar. Bake the scones for 22 to 25 minutes, until they are golden brown and a toothpick inserted in the center comes out clean. Serve warm. Get the printer friendly pumpkin scones recipe.